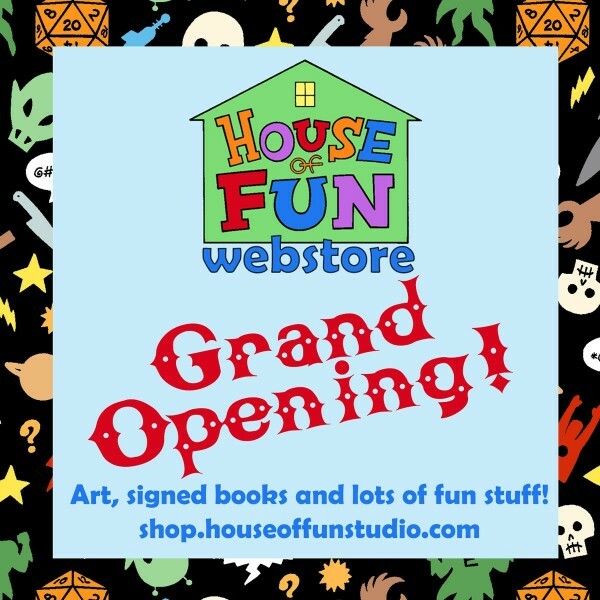 At long last we have a dedicated site for selling pins, signed books, original art and other stuff from our House of Fun to your House of Um, Somethin. Right now we have a small number of items available, as we're starting out with some pins and whatever books we have on hand along with a few pieces of art. We'll be adding more things over time, new art, new books, probably a few Eltingville lunchboxes, etc. We'll see how it goes. Feel free to take a look, maybe there's something on the site you and yours might wish to purchase and love a little bit.